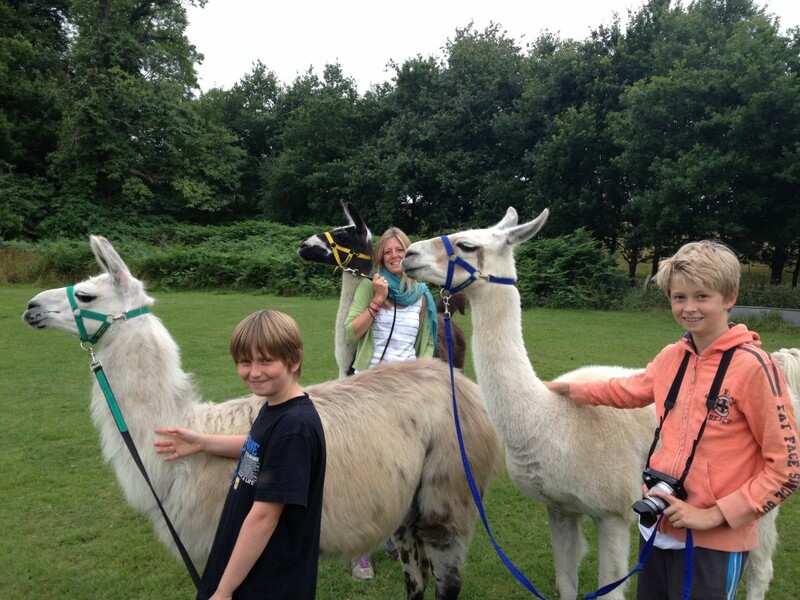 Buy a llama walk voucher for a family. The time a date of the walk must be booked AT LEAST 24 HOURS IN ADVANCE by calling 01825 712 040. Pre-booking by phone is essential and walk-in bookings will NOT be accepted. The walks are over moderately rough ground and are up and down hill. Due to this they are not suitable for people who are in poor health or who use wheelchairs, walking frames or walking sticks. Children’s prams and buggies are not allowed on the walks. Family Walk for families with 2 adults and 2 children over 6 years of age and lasts for about 45 minutes. 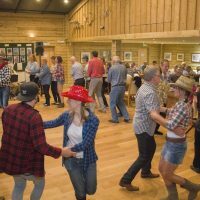 Up to 2 additional adults and 2 children can be added by selecting the the relevant ticket option. 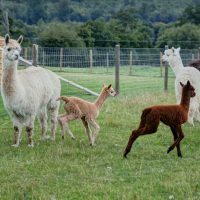 If you have any questions about the age of children allowed on the walk please do call 01825 712 040 prior to making your booking. Please call for other options/numbers. 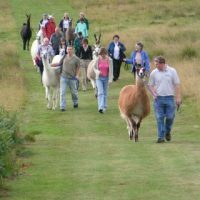 For full details about the visit our Walk a Llama page.